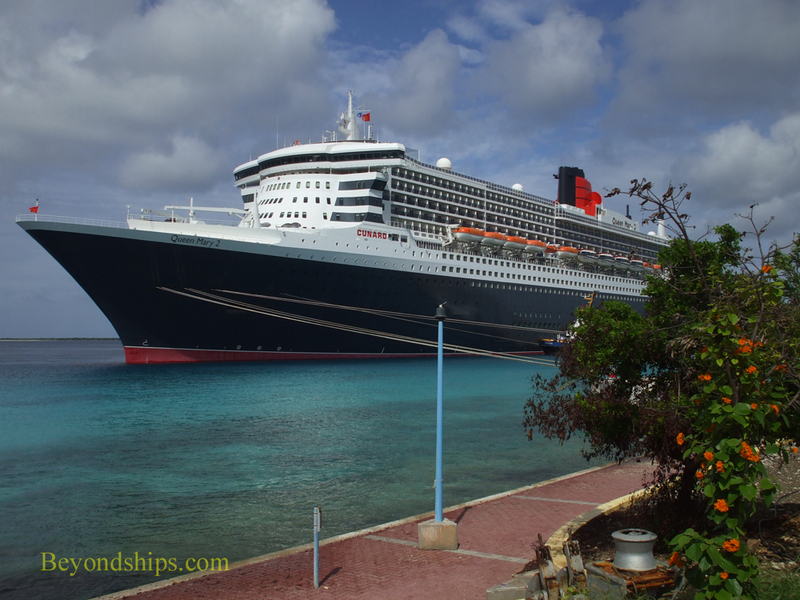 Above: Queen Mary 2 in Bonaire. More visitors to Bonaire arrive by ship than by air. 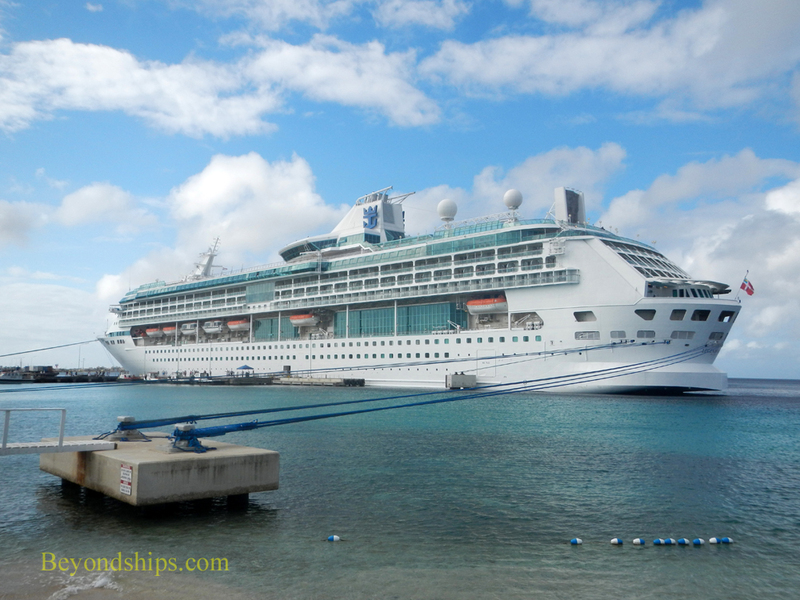 And the number of cruise passengers visiting Bonaire is increasing. 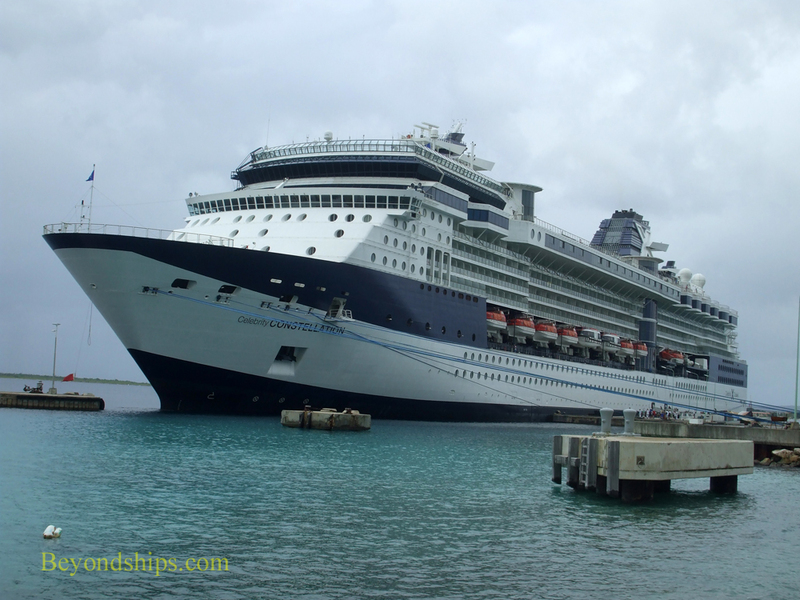 According to the Travel Corporation Bonaire, cruise visitors were expected to increase from 180,000 in the 2014-15 season to over 200,000 in the 2015-16 season. Running from September to May, the cruise ship season reaches its peak during December, January and February. It is rare for a ship to visit during the summer months. 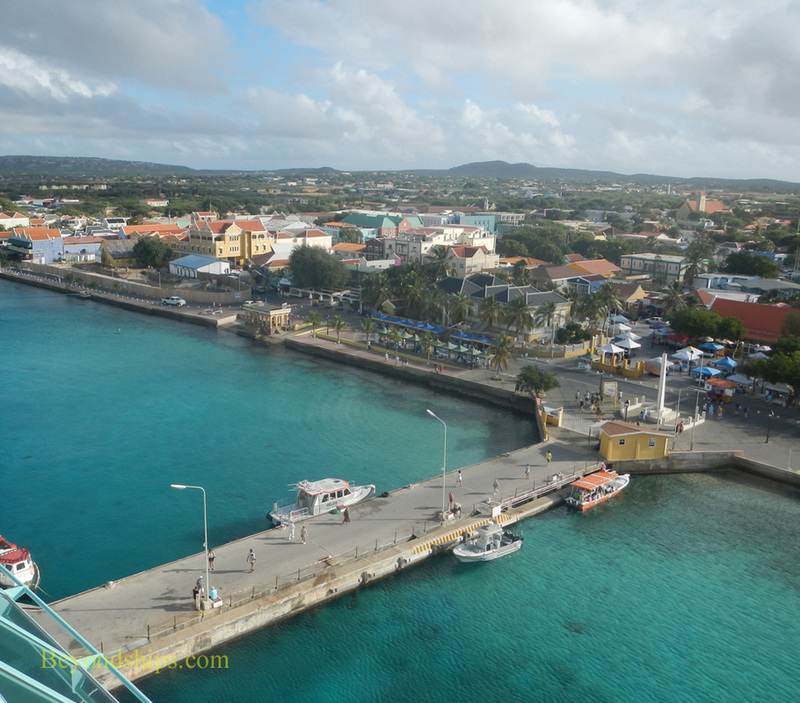 The cruise port is in Bonaire's capital Kralendijk on the west coast of the island. Ships dock at the Town Pier (also called the Northern Pier) and at the Customs Pier (also known as the Southern Pier). Both piers are in the center of town. On days when there is only one ship in port, it will usually dock at the Town Pier. Ships dock parallel to the shore. Guests then walk ashore over a short section that is perpendicular to the shore. Neither pier has a cruise terminal building. There is no public bus service on Bonaire. However, Kralendijk is a small town and the piers are within walking distance of the shops and other attractions. Taxis are available near the cruise ship piers if you want to go out of town. Water taxis operate between Kralendijk and Klein Bonaire. Above: Celebrity Constellation in Bonaire. Below: Legend of the Seas docked in Kralendijk.